Call us at 208 949-6415 from the US and Canada for Our Lowest Prices! 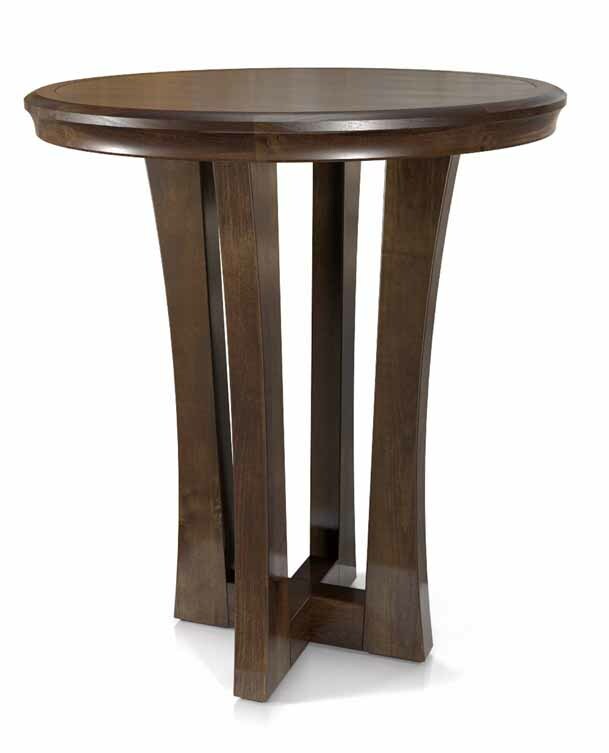 in solid oak, maple or cherry with stains selections available upon request. ONSALE NOW! CALL FOR OUR BEST PRICING! Shown in traditional Cherry finish. Shown with optional S2920 barstool in Lydia Bark fabric. Custom built to order in oak, cherry and maple. Stain samples available on request. Sizes: 30", 36" and 42" diameters. 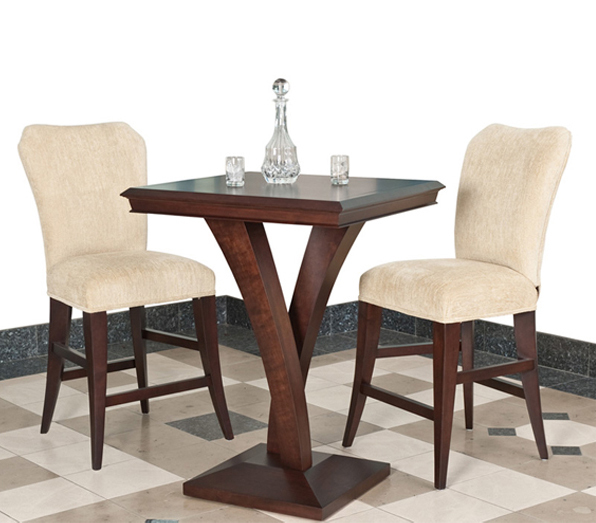 30" dining, use regular dining table chairs. 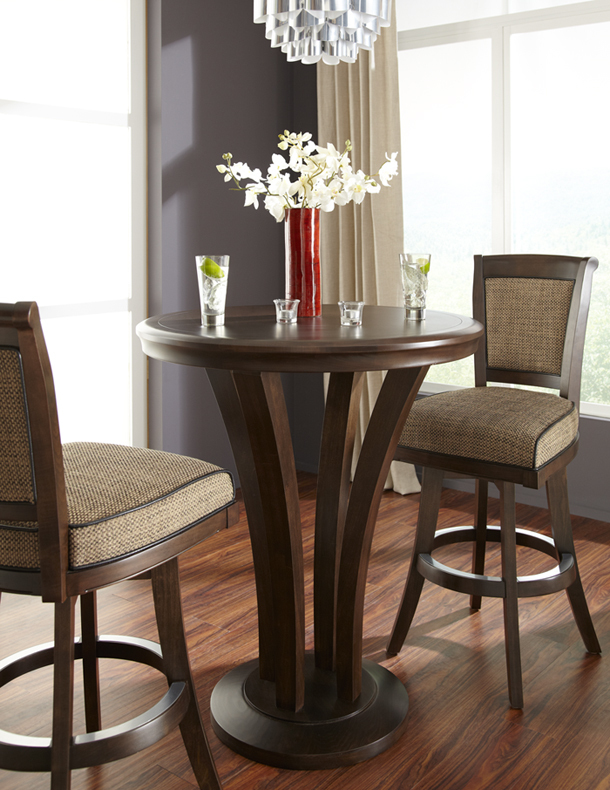 40" regular pub table height, use a 30" barstool. Shapes: Round, octagon and square. Call us today at 208 949-6415 in the US and Canada or email us at billards@cableone.net for Our Lowest Prices! Shown with optionsl Trevisio Armless Flexback barstool. Custom built to order in cherry and maple. Shown in American Walnut finish on solid maple. and for our best pricing please call us at 208 949-6415 in the US and Canada. Game Tables Etc. is a division of Vegas Slot Distributing, Inc.